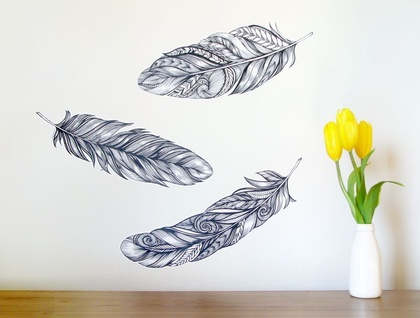 Give your room an instant makeover with this set of three feather wall decals. 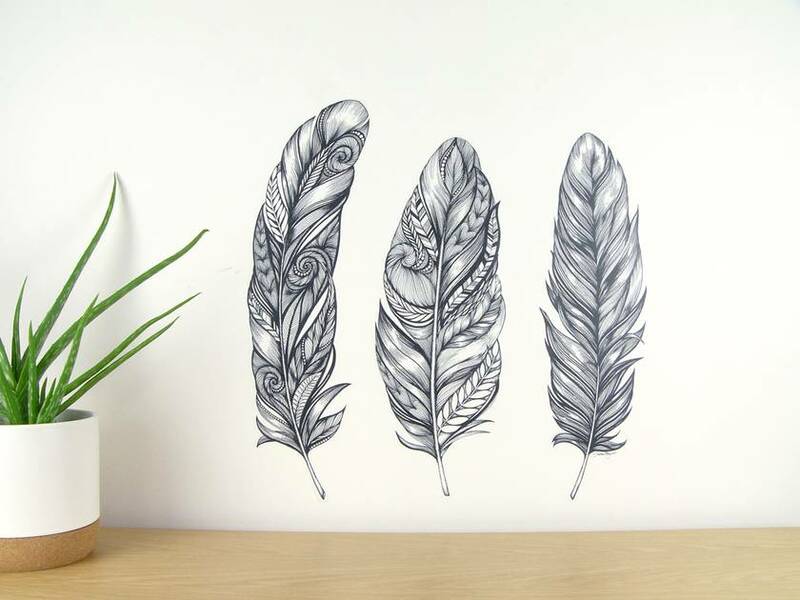 The design is hand-drawn and intricately detailed. They are printed onto a durable reusable decal fabric so you can arrange them however you like, and rearrange them as often as you like! They would look great in a living area, bedroom or nursery to add to soft look. Available in three different sizes. This design is a collaboration with Shireen Myers, a local New Zealand artist who sells her designs under the brand Scribblelicious. 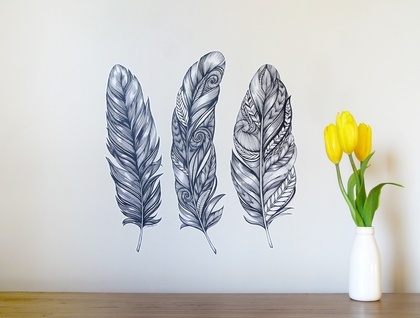 She always enjoyed doodling, and has turned her passion into an artform . Contact stickytiki to enquire about payment or shipping options.